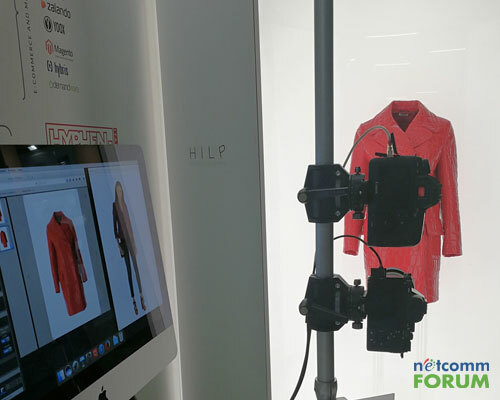 On the 10th and 11th of May we took part in the Netcomm Forum, Italy’s main event dedicated to B2B and B2C e-commerce and digital transformation. Roberto Liscia, Netcomm President, presented the state of play and trends of electronic commerce to the large audience in attendance. E-commerce is growing rapidly and without signs of slowing down: in 2016 some 2.6 billion Euros of goods and services were bought on-line worldwide, an increase of 17% compared to 2015. Of the total population of web users – some 2.5 billion people – 1.5 billion made purchases online. Even the number of purchases made from tablets and smartphones is increasing rapidly. Data confirms the growing importance of digital devices: those who use 3 devices (smartphone, tablet and pc) spend on average twice as much online as those who use only the computer. The smartphone is used much more often to search and buy also offline. Mr. Liscia also highlighted that we are witnessing a systemic change of offer and purchases that involves a few important factors of electronic commerce. Given the increased use of smartphones, tablets, and other devices, digital technologies increasingly permeate everyone’s daily lives. Ever more frequently the consumer moves with ease from the physical to the digital – it is not rare for a purchase in a shop to have been preceded by digital services used on-the-go or for the online purchase to have been a result of in-store promotions and offline strategies. If E-Commerce is the word of the present, in the era of the future instead multichannel is represented by Unified Commerce “where online and offline and different devices mix in a new experiential ecosystem” according to Liscia. The new relationships between consumers and brands require looking beyond the traditional division between physical and virtual, both as far as communications strategies and business models. The increased level of interaction between the different touchpoints of sales and communications is mirrored in the need for organisations to manage points of convergence of different departments, encouraging and directing the conversation between roles that until recently were considered quite distant from each other. It is clear that to face this new reality, businesses must arm themselves with new technologies, but this is not enough. For this reason Hyphen-UK helps organisations in the early stages to understand and plan new procedures for the management of integrated strategies of multichannel sales and promotions, to then develop software tools that are best adapted to creating communications content in a simple and efficient way. Even when a business develops an E-Commerce project, it is part of a network of physical and digital channels that work together. Only in this way can businesses develop conversations with clients that transcend the interruptions of communications channels, giving them a unique and smooth experience, and a lasting relationship with the brand.